Today was an amazing day for #bundleupyeg! Our truck was full twice AND we hit 100 bags of donations collected in just four weeks! 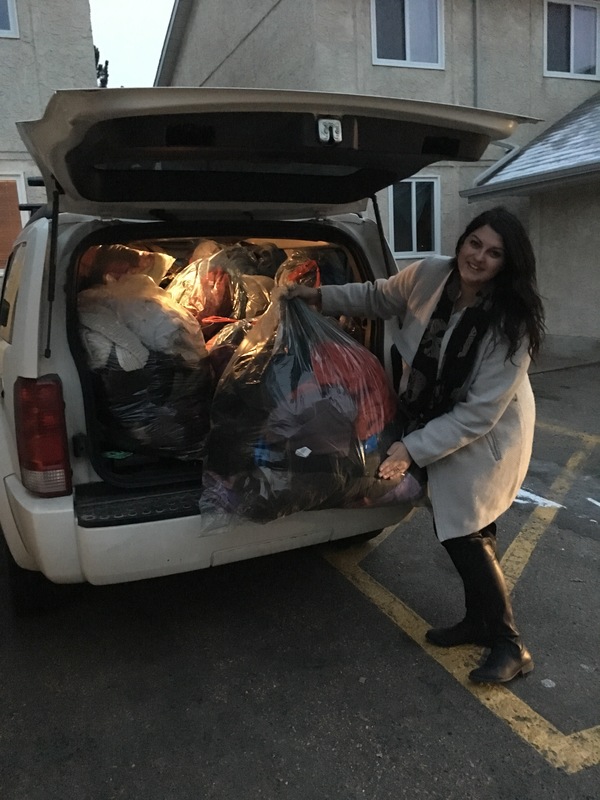 Last night, Ryan and I packed the truck full of 22 huge bags of warm clothing donations to be delivered to Boyle Street! Thanks to my parents, Bill and Maria, and the amazing staff at Boyle Street and their clients, those donations were delivered today and were being unpacked for use almost as soon as they came in! These bags were filled with socks, boots, blankets, sweaters and winter jackets! Huge thank you and shout out to Debra Ward who donated many of these giant bags! 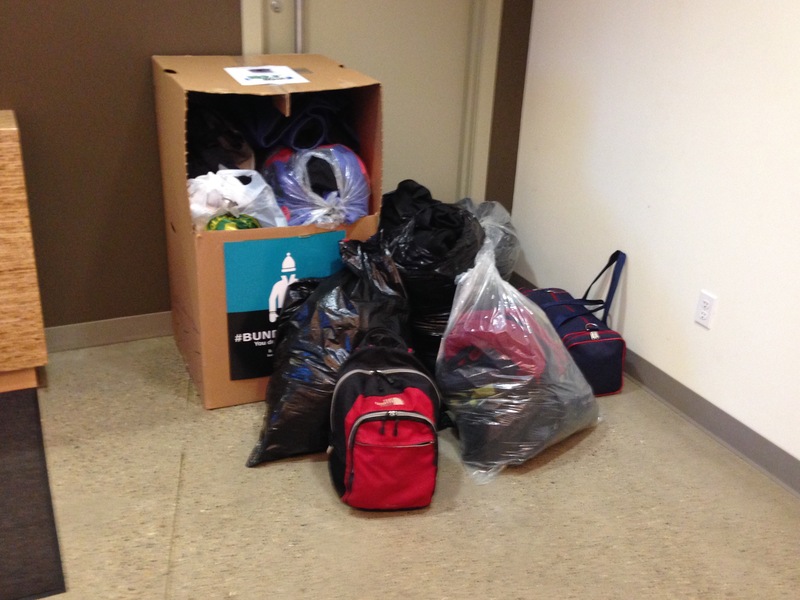 In addition, another 13 bags of warm clothing donations was collected from Now! Radio today. This, combined with another three bags donated separately, officially brings our collection total to 100 bags in just four weeks! Tomorrow (Dec.1), these 18 bags will be delivered to the Mustard Seed! Huge thank you to all of donors, partners, shelter organizations and friends and family for being so incredibly supportive and generous! Together, we are helping to keep so many warm. The box at Now! 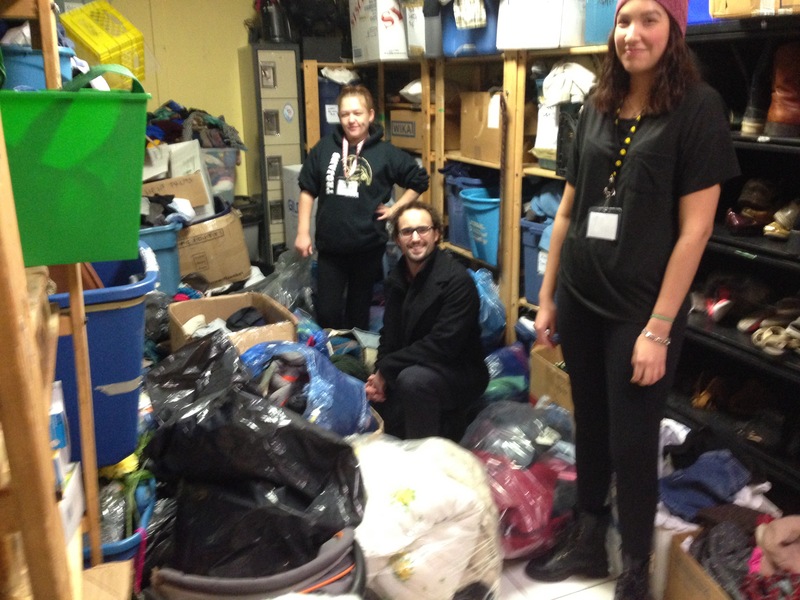 Radio will be extended to collect donations until Dec.15 and we will continue #bundleupyeg until Christmas Day!